Yup - Pasadena that is. 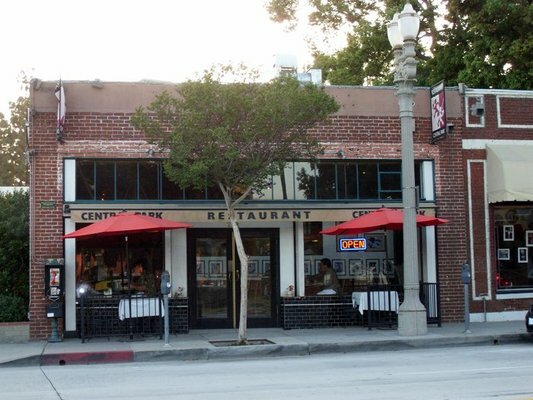 We once again made the grueling uphill bike trek into Old Town Pasadena this past weekend and hit up Central Park Restaurant. It's right across from, well, Central Park, hence the name. And it does have sort of an East Coast vibe. I had the breakfast Panini. It looked sort of sad on the plate with no garnish and just a meager fruit bowl to accompany it, but I gotta say, that was one good breakfast panini. Highly recommend it. Scott enjoyed his Eggs Benedict as well. Now we'll have to try it for dinner sometime.